I know that skiing is a risk-taking activity that can cause bodily injury and even death to me and other participants, loss or damage to equipment, and injury to others or to structures and objects with potential personal liability therefrom. I understand that individual persons may not be able to perform some skiing maneuvers without added risk to themselves and others due to personal limitations. Such individuals must apply or reject standard advice accordingly. If I use the information in this site to guide my skiing, I will furnish myself with modern equipment that has been fitted and adjusted to me by competent ski technicians and will maintain it in good working order. I understand that so-called "release" bindings do not prevent all injuries and that "safety" equipment including helmets may not prevent injury or death. I agree that in all skiing activities, applicable laws, such as in Colorado the "Colorado's Ski Safety Act of 1979", will apply, as well as the Skier's Responsibility Code and that updates of laws also apply, and that this site does not replace the advice of an attorney. I understand that this SkiMyBest.com "Learn to Ski/Ski Better/Ski My Best" website is copyrighted by William R. Jones and that no right is granted to others to reproduce any portion of the site without first getting written permission from William R. Jones. I understand that links to this site and any cached pages associated with them may contain obsolete or erroneous information. I also understand that this site is frequently updated as new understandings, interpretations, and techniques develop. It may not have the latest information. I also understand that there are other interpretations to matters presented in this site and that it is my responsibility to apply or reject this site's content. I understand that every effort has been made to maintain this site with current information, but that it is my final responsibility to ensure accuracy of its content. 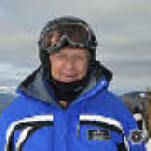 I understand that this SkiMyBest.com "Learn to Ski/Ski Better/Ski My Best" website is not connected in any way with any ski resort, business, or institution other than its developer William R. "Bill" Jones. I understand that Bill Jones only teaches lessons as an employee of a ski school. I understand that the sensations of skiing can be addictive and accept responsibility if I become an addict. Accept Agreement and go to site contents: I accept the above agreement and accept all responsibility to interpret, apply, or reject any part of or all of the contents of this site. Exit this site if you do not accept this agreement. This "SkiMyBest Site Use Agreement..." page last modified 11/03/2017 07:21:40 AM. Did you come here from a link on another website? For latest version of this page, copy to your browser: http/:www.SkiMyBest.com/skilegal.htm. Copyright © 2013, 2014, 2015, 2016, 2017, 2018, 2019. William R Jones.